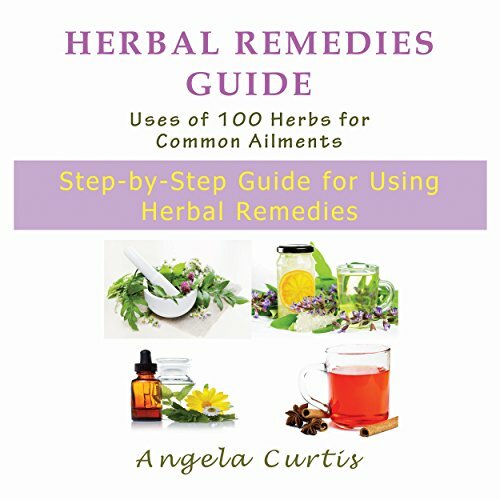 This audiobook highlights the real effects herbal remedies can have on the human body. The most popular herbs are outlined along with a few that are not so well known. The main point is that they are highlighted for their properties and the positive effects they can have on particular illnesses. A lot of the herbs are typically found in your local supermarket and may even be used for everyday cooking purposes. The fact is they are not hard to find and, once taken under the guidance of a qualified herbalist or doctor, can do wonders for alleviating whichever illness you may have. Nowadays people are opting to go with more natural options and herbal remedies. As the effects of chemically manufactured medications are much worse, sometimes fatal, it is much easier to go with an option that works just as effectively and is 100 percent natural. As the world moves toward health and wellness, the herbs highlighted in the book will become more prevalent in many courses of treatment that are prescribed. Even traditional doctors are starting to include natural remedies in their treatment plans. After all, the chemical-based medicines all came from herbs, didn't they?